Although employment in low-income countries (LICs) is strikingly concentrated in the informal sector, the contribution of this sub-economy to the larger economy is not well understood. The traditional view holds that labour markets are segmented; the informal sector provides subsistence income, or a pool of surplus labour for the formal sector, and will likely disappear as the economy develops. An alternative view posits that informality should be viewed as small businesses are in developed countries, and that individuals may see growth opportunities for themselves in the informal sector. 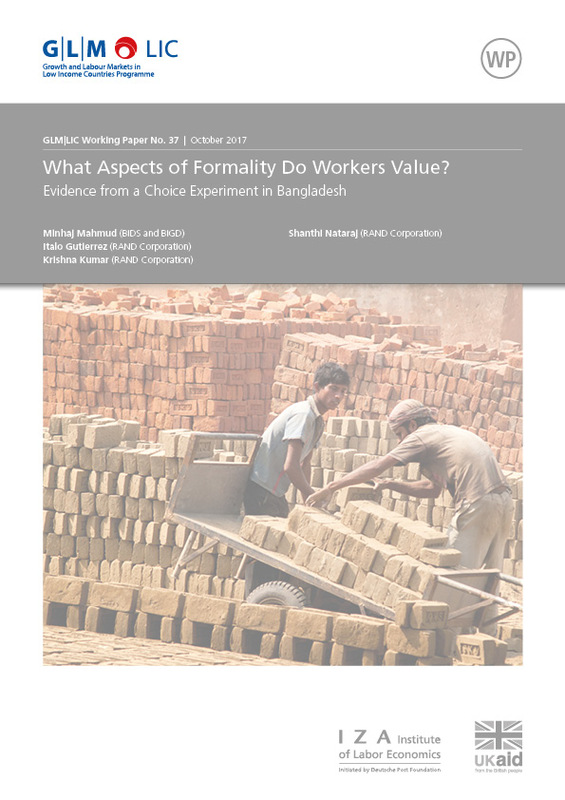 These views need not be mutually exclusive; multiple relationships between formal and informal firms and workers may co-exist. Characterizing these relationships in various segments of an economy is critical to understanding how the informal sector contributes to growth, and to appropriate policy design. To date, nearly all of the work on informality has taken place in middle-income countries. 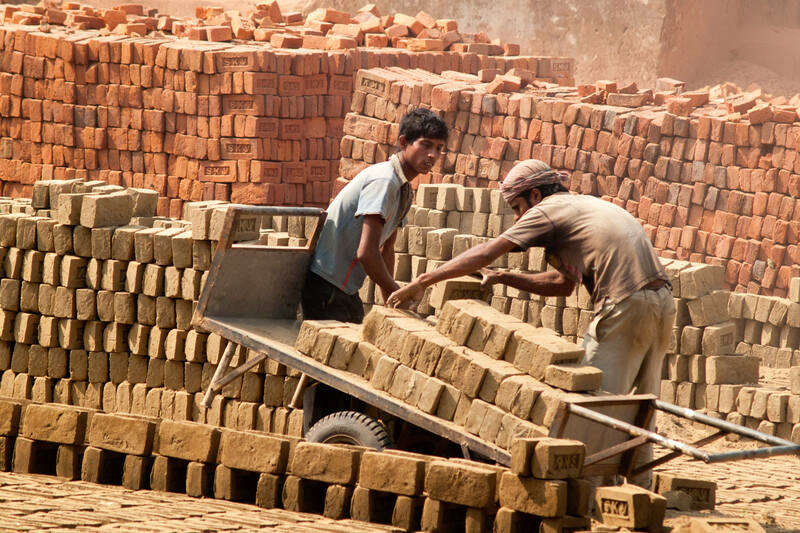 This lack of knowledge about informal labour markets in LICs is a critical gap because conditions that affect the informal and formal sectors differently – infrastructure, institutions, governance, enforcement, effective financial markets – can all be fundamentally different in LICs than in more developed countries. Our project will address this gap by studying the informal sector in Bangladesh. This study will be carried out by researchers at RAND and at the Bangladesh Institute of Governance and Development (BIGD), BRAC University, Dhaka. What is the nature of the relationship between the formal and informal sectors? We will start by comparing observable characteristics of formal and informal workers, to provide preliminary information on the determinants of selection into informal work, and whether such selection has changed over time. We will then characterize the horizontal linkages between the informal and formal labour markets by examining the extent to which informal and formal employment and wages co-move within industries over time. Next, we will use information on the geographic co-location of employment by industry to characterize the nature and extent of vertical (supply chain) linkages between the formal and informal sectors. What role does the informal sector play in generating value added and employment growth? We will build on the understanding of the formal-informal nexus gained above by considering the extent to which the informal sector may be an engine for overall growth. To do so, we will first estimate the value added to the economy by the informal sector, and how this has changed over time. We will then turn to the relationship between industry-level growth and informal employment by exploiting shifts in world demand for garments, which affect Bangladesh’s garment sector and are in turn transmitted to other local industries to varying degrees. We will examine whether informal employment responds to external shocks to growth, and whether this relationship is conditioned on domestic conditions, such as infrastructure, which vary by region or industry. Together, these exercises will provide insight into the nature of the informal sector’s contribution to economy-wide growth, and how that contribution is affected by external and internal conditions. Are workers “locked” into informal employment? Understanding whether individual workers transition between informal and formal work, and if so what triggers such transitions, is an important factor in distinguishing between the various views of informality. This requires more detailed information on workers and their employment histories than is typically collected in labour force surveys. We will obtain this information by means of a survey of informal and formal workers in two urban centres of Bangladesh: Dhaka and Chittagong. The information elicited in this survey will help us answer the following questions: (1) How prevalent is the transition between formal and informal employment, and how does it vary by individual characteristics? (2) What value do workers place on formal employment? 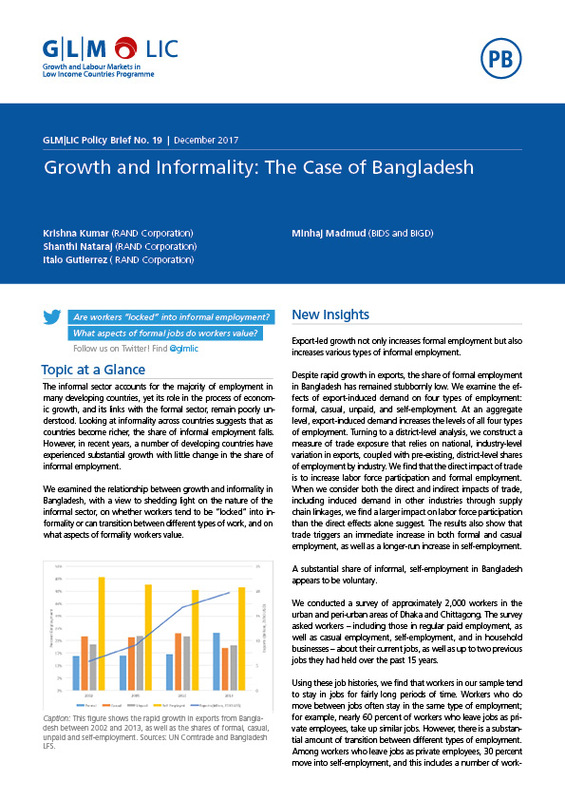 The Bangladesh Planning Commission’s Sixth Five Year Plan (2011-2015) articulates a key goal of accelerating growth, with an emphasis on aiding the transition from informal to formal employment. The Plan notes that growth will need to be sustained by contributions from both small, informal as well as large, formal, enterprises; it articulates policies that encourage the growth of small and medium firms, as well as vertical linkages between formal and informal firms, particularly in manufacturing. By examining the nature of the informal sector, its linkages with the formal sector, and its contribution to growth, our findings will shed light on what policies might be used to best achieve these goals. Working Paper No. 37	What Aspects of Formality Do Workers Value?